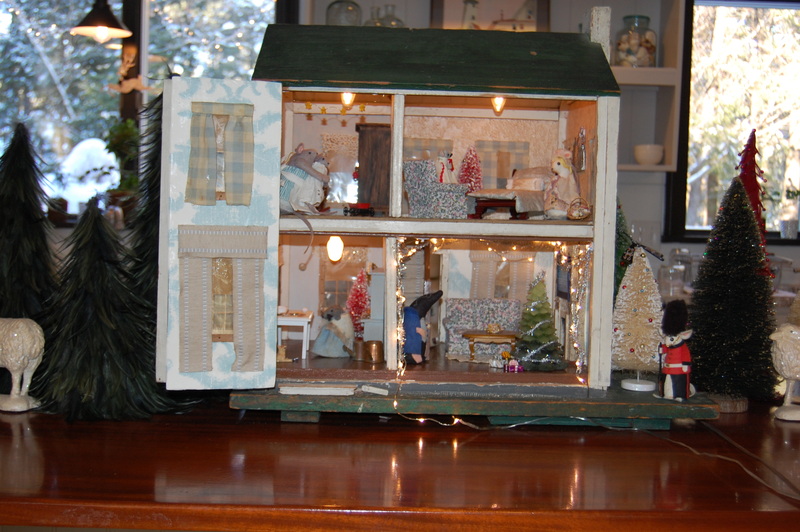 My Aunt Celia’s Dollhouse…dressed for the season. 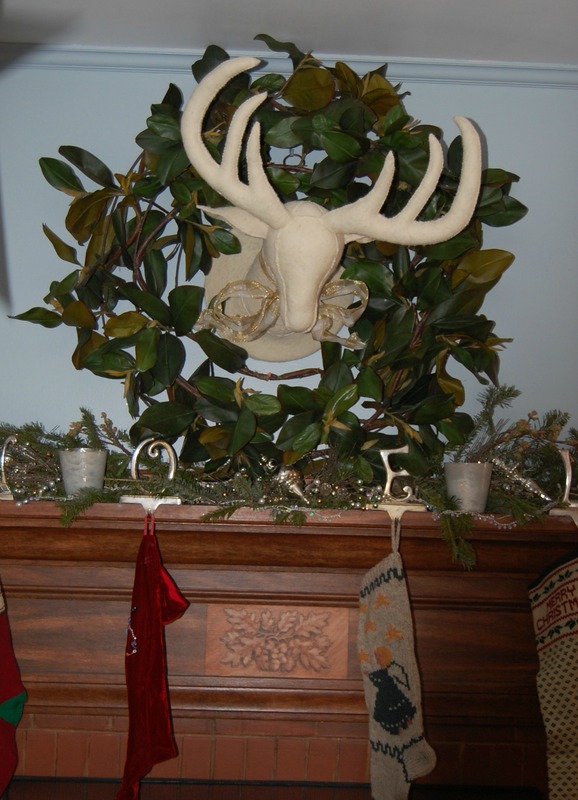 New take on an old friend, the felt deer-head…who doesn’t love this? Dine with us in our indoor winter woods. 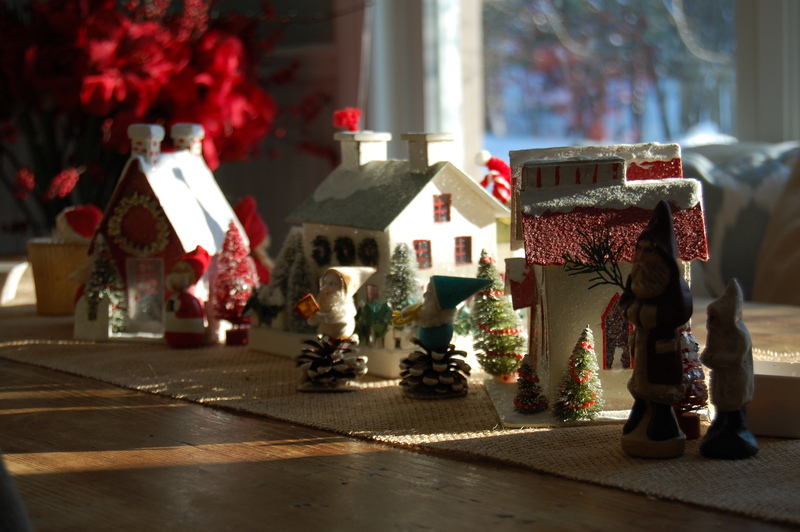 I want to wish Happy Holidays to the wonderful and supportive followers of my blog. Thank you all for a fantastic year! I will be back in 2014 with loads of your favorites, quick tips, mini-makeovers, and before-and-after pics. As we enter a new year, I hope you’ll remember to be Grateful for family and friends, Thankful for a job, and Mindful of your health. Most of all, forget the slights and injustices of others– “laisse tomber”, as the French say–let bygones be bygones! And approach the new year with a fresh start. Wishing you health and happiness in 2014! PS: If you like this post, let me know by “liking” it or commenting. If you’re not yet a follower…you can easily sign up now by clicking the follow button. But above all, enjoy life and good design! 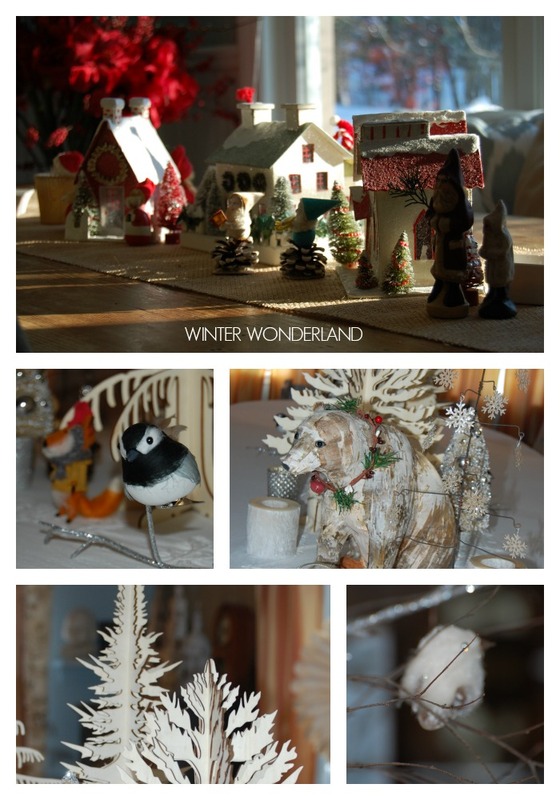 I love this … you’ve inspired me to share some of my decorations too! 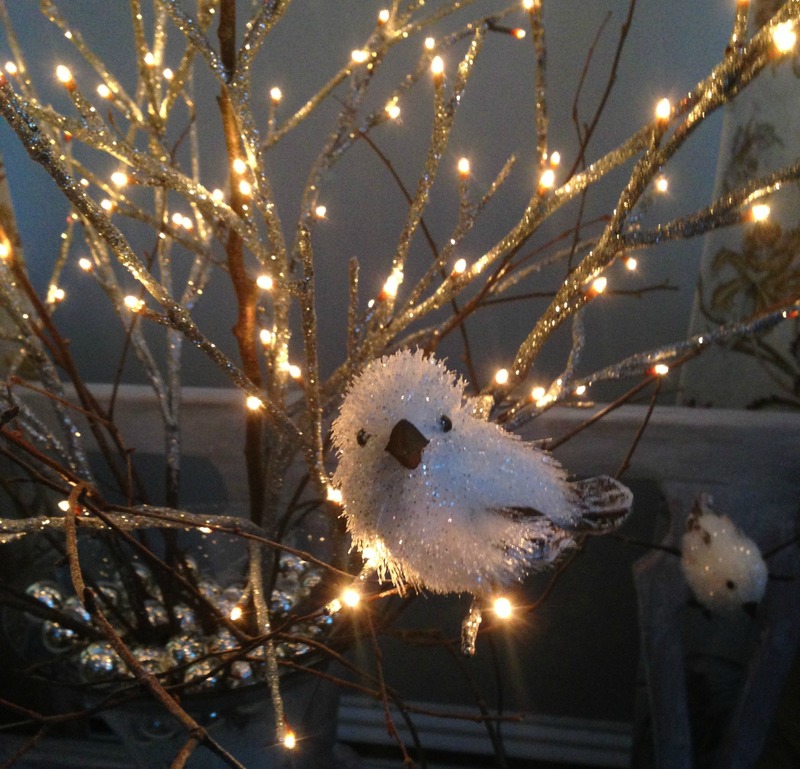 Merry Christmas – Love your blog! 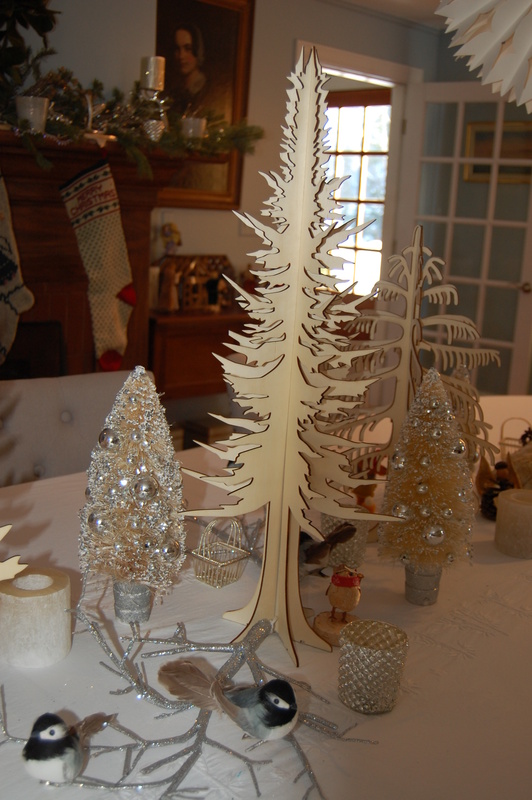 Love those little white and silver trees! 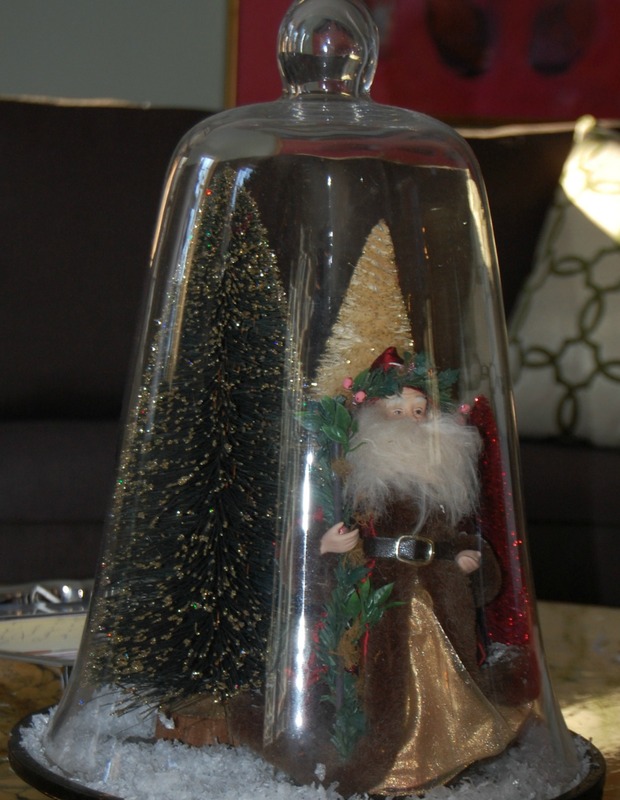 Looks fabulous, Celia, so festive and home-y!